Just about anyone you talk to these days will admit that they are overworked and overwhelmed. The demands of life and the requests of others seem to increase while our stamina and strength decrease. In this series, we are going to learn how to establish healthy limits that are required for healthy lives. -Why do we need boundaries anyway? -When do we say no and when do we say yes? -How do we establish the right priorities to protect what is important? Join us for this 3-week series that will help you build healthier relationships and live healthier lives! We often assume that boundaries are great for others, but not for us. However, a life without boundaries can result in severe dangers like avoidance, compliance, or being overly controlling. The truth is that even though boundaries can sometimes seem unnecessary, they are absolutely critical to a healthy life. 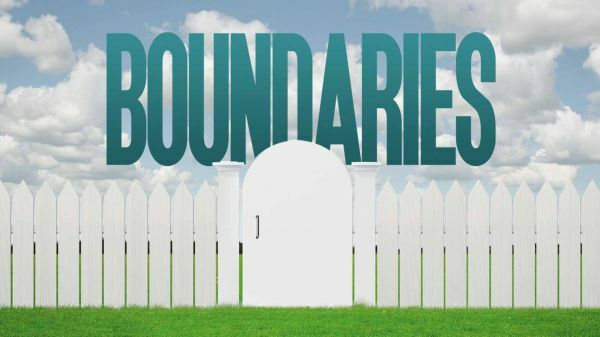 Join us as we kick off a brand new series that will help you define and protect healthy boundaries in your life. Just about anyone you talk to these days will admit that they are overworked and overwhelmed. The demands of life and the requests of others seem to increase while our stamina and strength decrease. In this series, we are going to learn how to establish healthy limits that are required for healthy lives. -Why do we need boundaries anyway? -When do we say no and when do we say yes? -How do we establish the right priorities to protect what is important? Join us for this 3-week series that will help you build healthier relationships and live healthier lives!